Empathy is a buzzword in the UX world, as it should be. We agree that to develop great customer experiences, you need to truly understand your customers – their feelings, needs, concerns and motivations. That begins as early as the research phase of a project. And when it comes to customer journey mapping, we’ve developed a simple workshop activity to help extract empathy from stakeholders as they help us build the deepest, most precise customer journeys possible from personas. Journey maps are an effective research tool we use to help our client’s identify the Moments that Matter™ to their customers, uncovering key pain points along the journey (over time and across channels) and opportunities where meaningful engagement can occur. See one of our recent journey mapping projects for Penn State Hershey Medical Center. 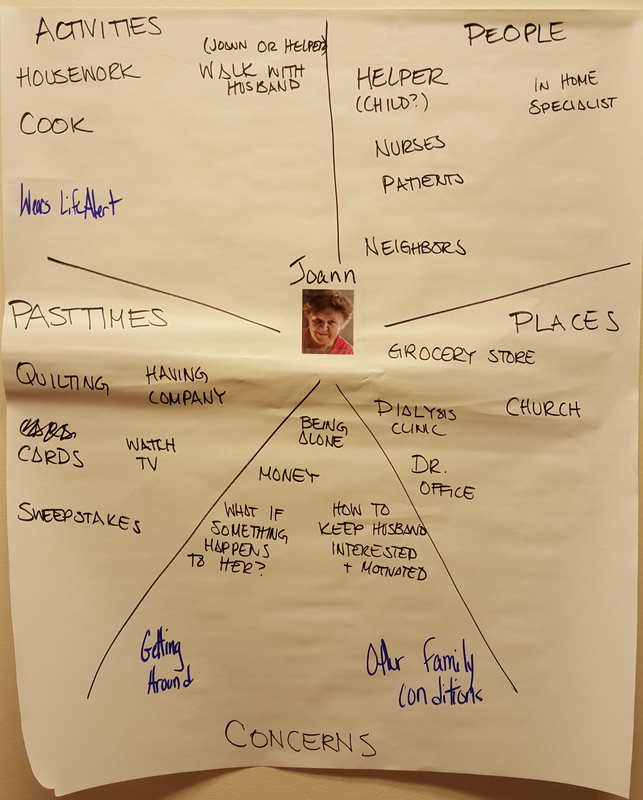 The very first step in developing a journey map is to conduct initial research and build personas – fictional characters that depict an array of customer types (patients, insurance members, clinicians) and communicate their overall needs and expectations. Once our personas are shaped, the next phase is to break down the persona’s experience into individual interactions and touch points with the client’s organization. That’s what makes journey maps so powerful – we’re able to discern needs and emotions across each touch point so that ultimately, the overall experience can be improved. However, this transition step from personas to journey maps can be challenging. At Red Privet, we like to engage stakeholders (patients, insurance members, clinicians) that relate to the key persona-type we’re depicting to help us develop the their journey. The participants are invited to a workshop, and their role is to help discover and construct the story of the persona across the journey. It’s not always an easy task, though – as it’s not unusual to get 7 or 8 stakeholders in a room that may struggle to wholly relate to the persona. Maybe they themselves have different needs. Certainly they have different experiences. Simply, they’re all unique individuals with their own stories. That’s why we recently found ourselves seeking an interactive activity to get stakeholders to enter into the mindset and world of the persona, and help bridge this gap between personas and journey maps. Our solution: “A Day in the Life” Activity. 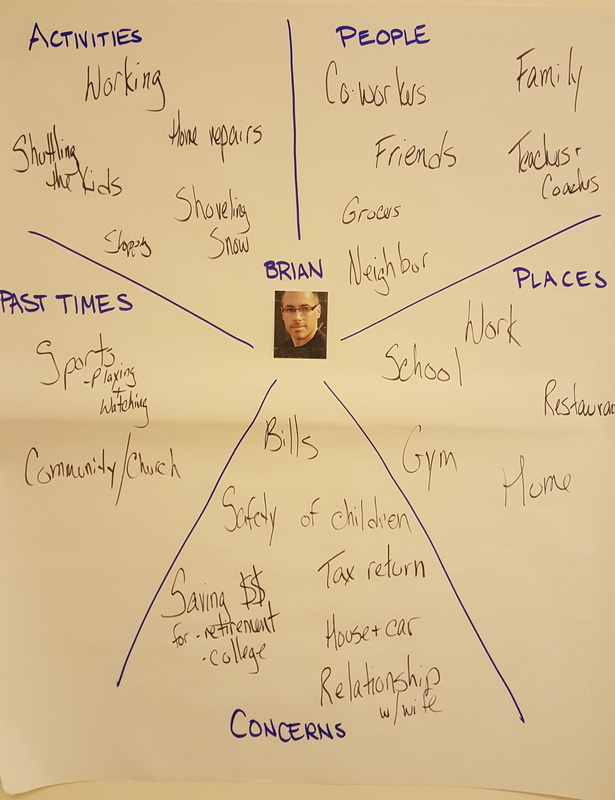 We found that developing their “concerns” helped the most – what were the top of mind ‘worries’ that these personas felt on a daily basis. We put these charts up as a frame of reference as we walked through the journey together with stakeholders. Collectively, understanding their daily life helped us exit our own biases and empathize with the persona. We found that this workshop helps us get stakeholders to use the language of the persona by painting the picture of their life, before zooming into their journey. The key take-away: Inject empathy wherever you can in the project plan. Particularly when it comes to journey mapping, the closer you get to fostering compassion for the persona, the deeper and more precise your journey maps will be in the end.